At last, Gateway pins down a location for Ontario’s newest casino in Wasaga Beach. It’s been a full year since Gateway Casinos & Entertainment won the bid to operate the ‘Central Gaming Bundle‘ of the Ontario Lottery and Gaming Corp (OLG). As the region’s commercial casino service provider, Gateway earned the day-to-day managerial rights of one of Ontario’s most popular gambling establishments, Casino Rama Resort, as well as the OLG Slots at Georgian Downs. Moreover, the company was awarded responsibility for constructing a new casino and entertainment complex in the community of either Collingwood or Wasaga Beach . It wasn’t long before Gateway decided on Wasaga Beach as the host municipality for the upcoming facility. However, the debate over where to build the casino has been raging for months. Finally, in a press release issued just hours ago, Gateway has announced the location of its upcoming Wasaga Beach casino. 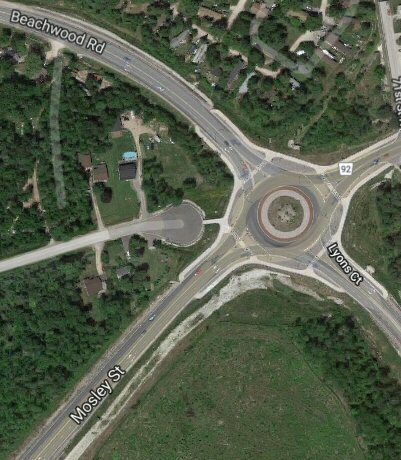 Gateway Casinos has submitted a proposal requesting permission to build the new gaming and entertainment facility on a 7.5-acre parcel of land in Wasaga Beach’s west end, flanking the Mosley Street roundabout at Lyons Court and Beachwood Road. Local and provincial officials will be looking over the proposal this week. There’s little doubt that the necessary approvals will come swiftly, at which point Gateway can complete the acquisition of the plot and begin hiring crews for the construction phase of the property. The proposed casino would feature a range of slot machines and table games, along with a host of other amenities and attractions for guests. No specifics are being leaked just yet on what the site will look like. The overall size and scope of the development will be discussed in the coming weeks, detailing the range of new employment opportunities, plans for food and beverage amenities, and other local economic investments. No doubt Gateway will put its stamp on the community with its signature MATCH Eatery & Public House and The Buffet dining options. Assuming provincial and municipal approvals are met in a timely fashion, construction of the new casino – likely to be named Gateway Wasaga Beach – is expected to begin sometime this spring. None were more pleased by the announcement than Nina Bifolchi, Mayor of Wasaga Beach. On behalf of the community, she welcomed Gateway to the area with open arms and emphatic praise. Keith Andrews is the Senior VP and Managing Director for Gateway Casinos Ontario. He offered the enthusiastic sentiments of his company in a brief statement.